Princess Nails’ glitter collection released 33 stunning news hues in bright, bold shades of glitter, holographic, and confetti styles. Custom-blended, they come in popular teals, pinks, blues, tangerines, reds, and shimmering iridescences. 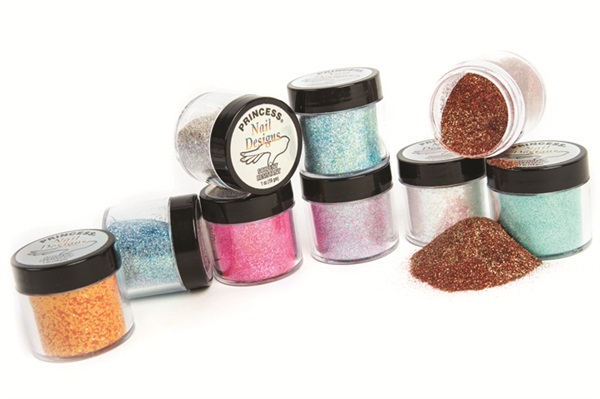 Princess glitters also have a special solvent-resistant coating, which allows for easy mixing into acrylics and gels.